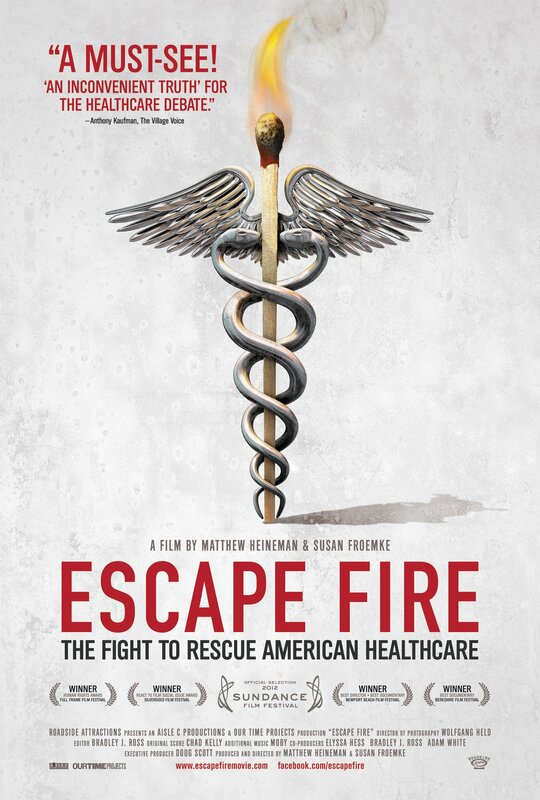 Friday night, the Mineral Point Opera House will screen the movie “ESCAPE FIRE – The Fight to Rescue American Healthcare.” Click here to watch the trailer. The movie will be followed by a panel discussion that includes Mineral Point family practioners Dr. Aaron Dunn, of Point Five fame and founder of the Community Connections Free Clinic and Dr. Sarah Fox, co-author of the award-winning book Super Snacks for Super Kids. The Super Snacks Facebook Page promises “healthy snacks for the MPOH concessions!” Popcorn is healthy right? The movie begins at 6:30pm Friday June 14, 2013 and is FREE. This entry was posted in Entertainment, People and tagged Aaron Dunn, Escape Fire, Healthcare, Mineral Point Opera House, sarah fox, Super Snacks for Super Kids. Bookmark the permalink.